An Auckland scientist,who makes bacteria glow in the dark so that we can better understand how to fight infectious diseases, has won the 2013 Prime Minister’s Science Media Communication Prize. 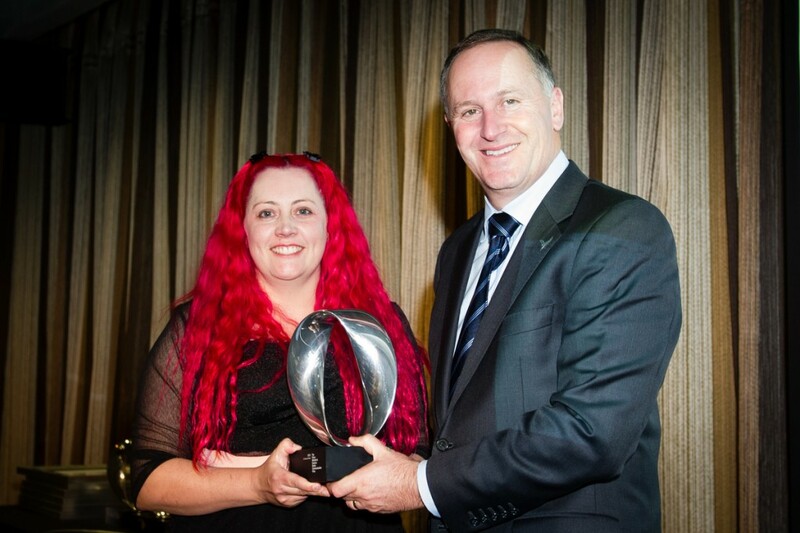 Dr Siouxsie Wiles, a microbiologist at the University of Auckland, is researching the uses of bioluminescence, or the production of light by living organisms, and receives the award for her communication of a wide range of scientific issues. Dr Wiles is a media commentator and blogger who regularly gives public talks about science and was one of the faces of last year’s public engagement campaign for the National Science Challenges. She has made a number of popular animations that introduce the public to glowing creatures such as fireflies and the Hawaiian Bobtail squid and how their light can be used in science. Dr Wiles leads the University of Auckland’s Bioluminescence Superbugs Group, focusing on how glowing bacteria can help scientists better prevent and fight microbial infections such as food poisoning, tuberculosis and hospital superbugs. Winning the prize sees Dr Wiles receive $50,000, with another $50,000 allocated for further developing her science media communication skills. 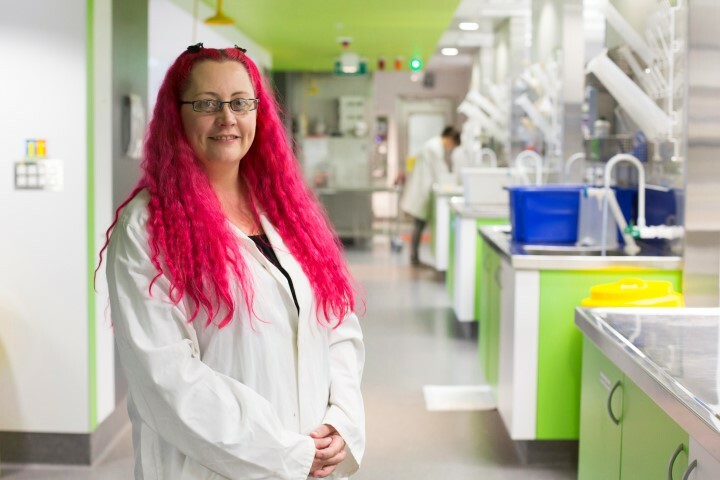 Dr Wiles, also known for her distinctive pink hair, says being one of eight scientists to appear on television in The Great New Zealand Science Project has raised her profile, especially with young New Zealanders. “When I meet children there is often a squeal of recognition, particularly from young girls, and that is really important to me because they are a group we need to keep interested in science. Dr Wiles has a first class Honours degree in medical microbiology from the University of Edinburgh and completed her PhD at the Oxford Centre for Ecology and Hydrology where she made glowing bacteria to monitor industrial pollution. She went on to apply this knowledge to health research, initially studying strains of food poisoning in London and, later, ways of screening for compounds and vaccines to combat tuberculosis (TB). For the last four years, she has been working at the University of Auckland where she has helped develop a new TB Lab. 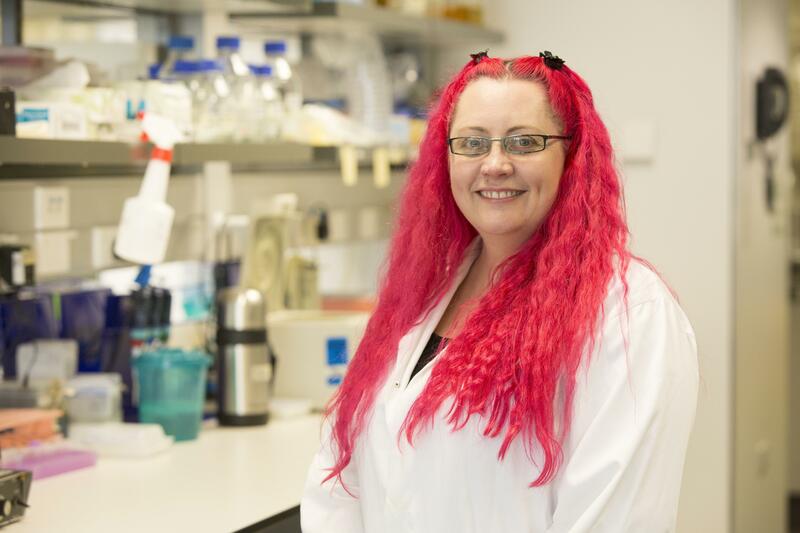 Dr Wiles plans to devote some of the prize money to writing a children’s book on bioluminescence, a project she will carry out with her seven year old daughter. She is also producing an animation about the anglerfish, made famous by the movie Finding Nemo, and will create a website called GlowHub to house her films and a series of short documentaries on the work of cutting-edge Kiwi scientists. Other initiatives she plans include running workshops in which she and other leading science communicators will teach scientists how to craft their stories into two-minute science animations and setting up a fund to work with artists on works inspired by bioluminescence and microbiology. This builds on the ‘Living Light’ science-art installation she created with artist Rebecca Klee,harnessing the light-making properties of Vibrio fisheri, a kind of bioluminescent bacteria usually found in the sea, which featured in Auckland’s Art in the Dark Festival last week.